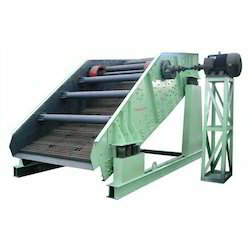 Offered by our organization is a comprehensive array of Vibrating Screens, which is renowned for performing varied operations such as de-watering, fibre recovery, grading, de-dusting, oversize removal, classification, filtration or any other size based separation. Moreover, the screens we offer are less expensive as compared to other similar products available in the market. In addition, these screens consume less power and require minimal maintenance.